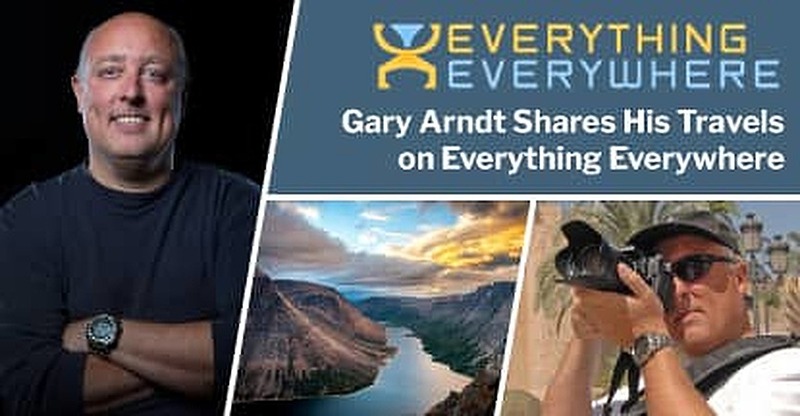 In a Nutshell: Gary Arndt admittedly knew very little about photography when he started recording memories from his travels more than a decade ago on his blog, Everything Everywhere. Today, Arndt is an award-winning photographer who has chronicled trips to all seven continents and over 180 countries and territories. Arndt helps fund some of his adventures through his credit card travel rewards and shared his story on why a credit card is so important when traveling far from home. Gary Arndt thought he’d experienced it all after years of traveling the world in search of new adventures and beautiful things to photograph. But a not-so-average Monday morning in the Australian Outback changed that opinion, and has altered the way he travels ever since. In the first six years of chronicling his adventures on his blog, Everything Everywhere, Arndt visited and photographed locations so remote that most geography buffs hadn’t heard of them — and he did so without a credit card. The average consumer’s reaction would be to call their bank and have the hold removed, but due to the differences in time zones, a Monday morning in Australia coincides with a Sunday night in the US. He now has multiple cards in his wallet and uses their travel rewards to increase the number of destinations he can visit and blog about. 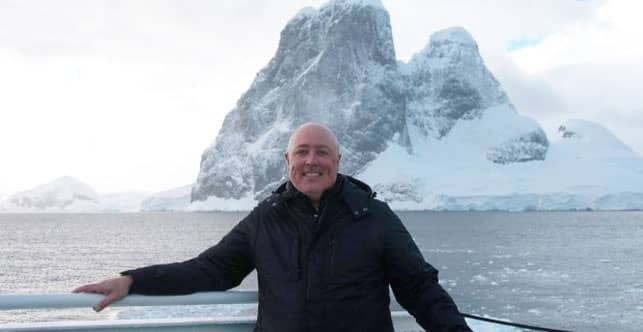 To date, Arndt has visited all seven continents and over 180 countries and territories, intricately detailing every step of his journeys along the way. Arndt’s most memorable adventures include swimming with jellyfish in Palau, dog sledding in the Yukon, and spending a night on a nuclear aircraft carrier, the USS Harry S. Truman. Despite more than a decade of travel writing experience, Arndt admits most people know him for his photography. That says a lot, considering his lack of photo-taking training before he decided to start traveling. “When I started out, I didn’t know anything about photography, but now I’ve been named Travel Photographer of the Year in North America three times,” he said. Arndt’s blog has hundreds of captivating photographs posted from many of his trips. Each provides a glimpse into life in destinations both remote and well-traveled. His progression as a photographer is obvious as you scroll through the years of adventures, but he says he follows only one rule when capturing his trips. After Arndt’s dilemma with a flagged debit card deep in the Australian Outback, he realized it was time to apply for his first credit card. Although he had no previous financial blemishes, he quickly learned how fickle the financial industry can be. Gary Arndt chronicles his global travels on his Everything Everywhere blog. He turned to his bank, which saw his positive history and gave him a secured credit card. After six months of on-time payments, he upgraded to an unsecured card. Today, Arndt said he carries both the Chase Sapphire Reserve® and the Chase Sapphire Preferred® — two of the most prestigious and lucrative travel cards on the market. Arndt regularly receives correspondence and questions from people who are looking to travel but have hesitations about visiting remote areas. He said his advice for everyone is always the same. Arndt pointed to Colombia and Vietnam as two places that have developed undeserved bad reputations. Arndt’s travels have taught him that countries may have different languages, customs, and cultures than America, but everyone has one main commonality.